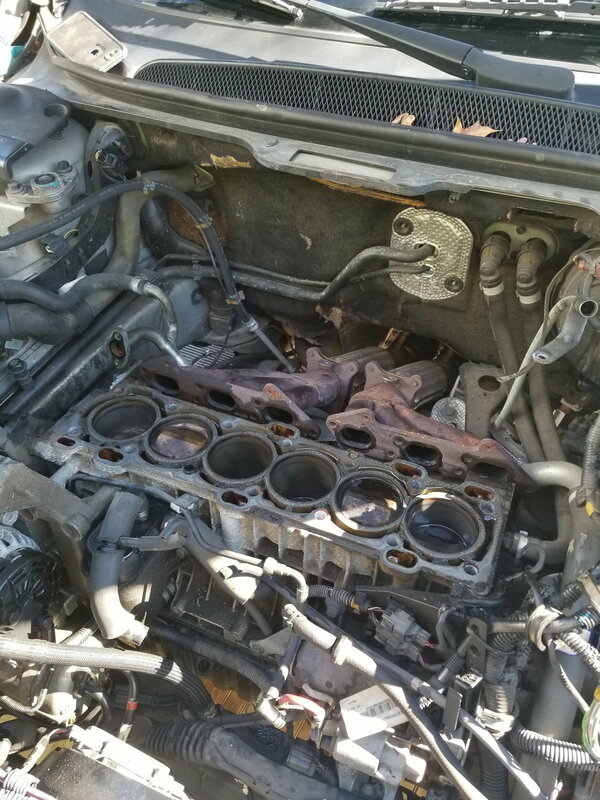 I recently bought a 1999 Volvo S80 2.9L Non-Turbo that supposedly had a blown head gasket. I knew I was taking a gamble but for the price & mileage ($500 with 147k), it was just too good to pass up. I figured that even if I couldn't get it running I could still sell it for parts and possibly make my money back. When I first inspected the car there was oil coming from a few places but nothing too unusual. I asked the owner to turn it over which it did pretty much without a hitch, though a huge cloud of whitish/blue smoke spit out the tailpipe. So I knew there was either oil or coolant burning in the cylinder (fairly certain it was oil since A it was everywhere and B oil burns whitish blue), so that lined up with what he was saying. There wasn't any whitish milk on the bottom of the oil fill cap which did worry me a bit but wasn't too worried since he had said the car had been sitting for awhile. On another note, I also thought that the engine was either misfiring or out of time since it was running a little strange though the idle wasn't too rough. I was afraid to rev it since there wasn't much oil left in the crankcase. 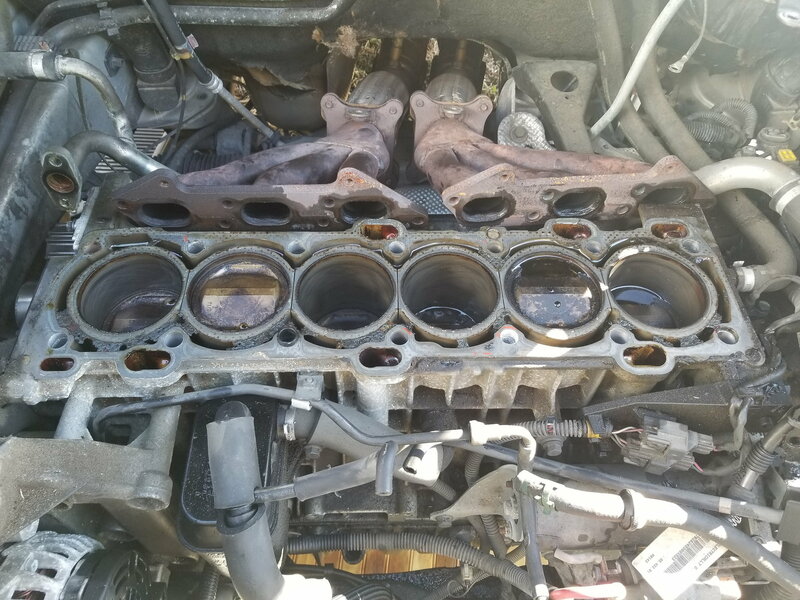 Fast forward a bit, I've torn the engine down to the cylinders expecting to see a blown head gasket and if it wasn't it needed to be takin apart anyways since the engine was burning something it wasn't supposed to. Unfortunately, as far as I can tell, there isn't a blown head gasket (though I am somewhat of a novice in the field of auto repair/machinery so I wouldn't trust my opinion which is why I'm here). 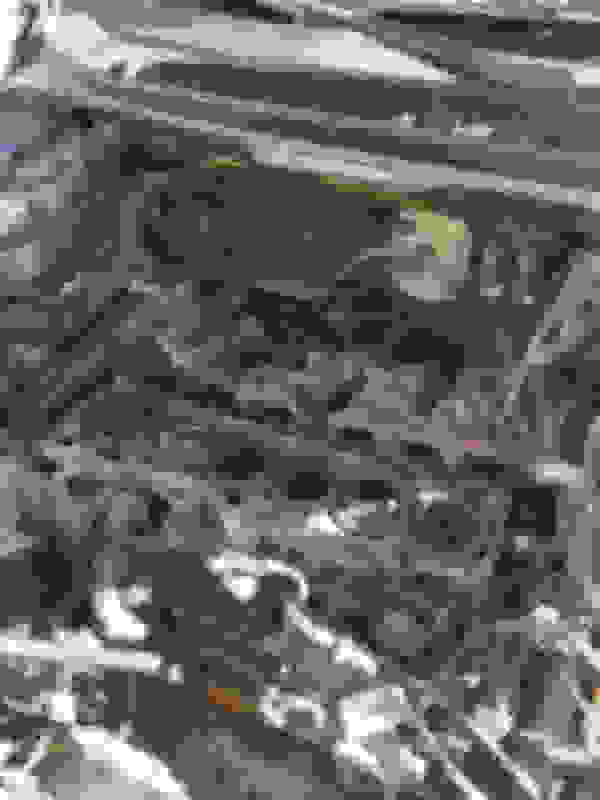 I have a few photos I'll post below that might help with diagnosing this issue and I have a high-end camera if anyone needs me to take any more of ANYTHING else. I did notice that there is some weird gunk that is sitting on the very top of the coolant passages which I did find odd, but not to sure what it was or if it was normal or not. I will be taking off the crankcase tomorrow to see if there's coolant mixed in with the oil, I'm hoping that will give me a little more information in trying to solve this problem. If anyone can shed some light on the situation that would help me out, that would be a godsend since I am a little out of my depth here. I knew this job would be no cakewalk and from what I've read, its one of the more difficult engines to work on. Thank you in advance to whoever helps me out. as part of your rebuild process you should take the head to a machine shop to be magnafluxed to check for cracks and to check the flatness of the head. Oil could also be coming up through the rings - but its too late to do a compression test and too late to test for a clogged PCV system. At this point you might as well pull the block and consider replacing the rings, clean out the PCV ports etc. Any signs of scoring or ridging on the cylinder walls? if so those need to be removed as part of replacing the rings. If it happened on startup after sitting a while, you likely have leaking valve seals. 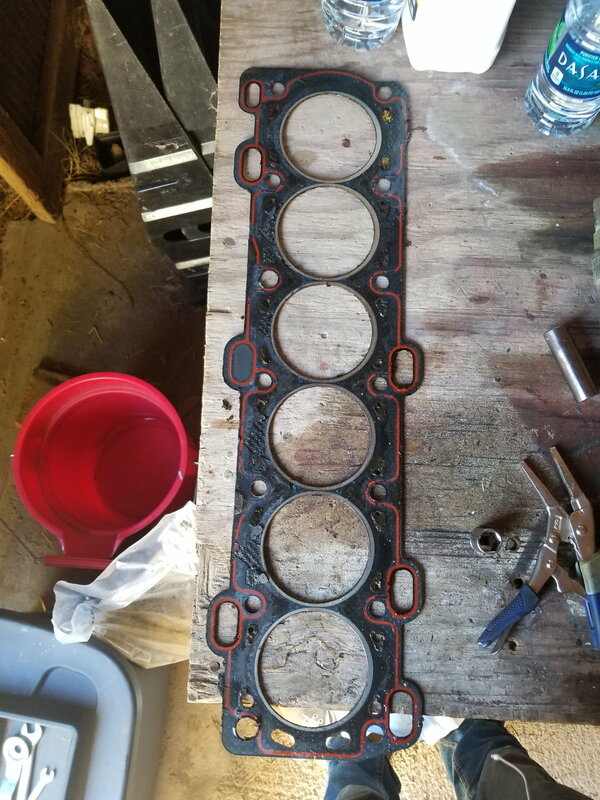 I'd replace them (or have the machine shop do it, along with a valve job), replace the breathrr box while you're down that far and you should be good. Typically bad rings will smoke under idle or acceleration. The puff of smoke at startup points back to oil draining back into the cylinders from worn valve guides and also worn valve stem seals. If the cylinder walls look okay, I would imaging the redoing the head would be all that is needed. Also, not all head gasket failures are obvious and not all head gasket failures mix coolant and oil. I would also guess that the crankcase system is completely plugged up. Change that stuff too. I would also drop the pan and see how messed up it is as well as change the O rings that seal the oil pickup ports. P0027, No oil pressure, burning LOTS of oil, rattle noise at start up. Practically Speaking, Can an S80 Tow?